Fall is upon us and with it many new TLDs and Promos. It didn’t go as smoothly as we hoped for and the Registry has still some issues to be worked out, but many of you transfered your .FI domains sucessfully to us which was the first step. .FI Domains can now be managed on JOKER.COM and new domains can be registered. The price for registration will be €17.90 as of November 1st, until then our special welcome price of just €14.99 is valid. .SHOP and .GAMES are both new domains on JOKER.COM, having started at the end of September. .SHOP is available for only USD 3.99/month at JOKER.COM. 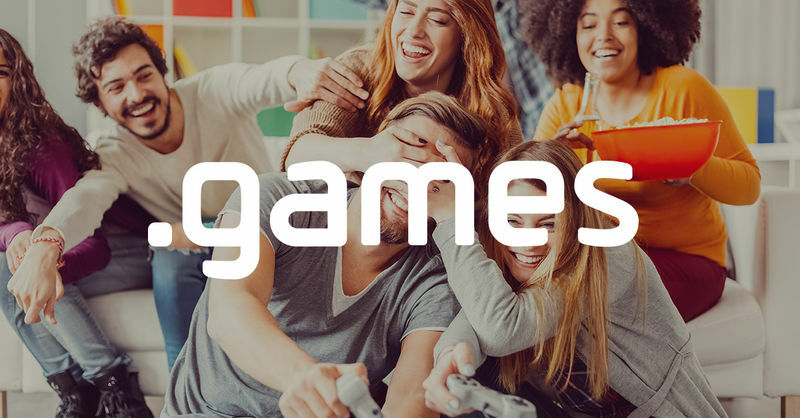 .GAMES (not to be confused with .GAME) is the ideal domain for gaming platforms, blogs and magazines about games or even for publishers or developers. Where .GAME makes most sense for download- or landingpages for a single game, .GAMES is for all sites about games in general. But not only videogames profit from a catchy .GAMES domain ending, classic games like boardgames or sports events as well can make use of a .GAMES domain. New in October is our .NET flashsale from Oct 11th to Oct 13th where you can get your.NET domains for only USD 4.99 for the first year. New as well and running until Dec 31st: .STUDIO, .VIDEO and .LIVE – all for only USD 12.99/1st year each. You can order those domains here. And you’ve probably already seen our .EU promo which isn’t special just because of the price (though €1.99 for the first year is a pretty good price, we think) but it’s also the first time ever that we’ve placed an ad in a print magazine. We chose the German tech magazine t3n for that and we’re really happy with the final result. We’ve also placed a banner on their website. What do you think? 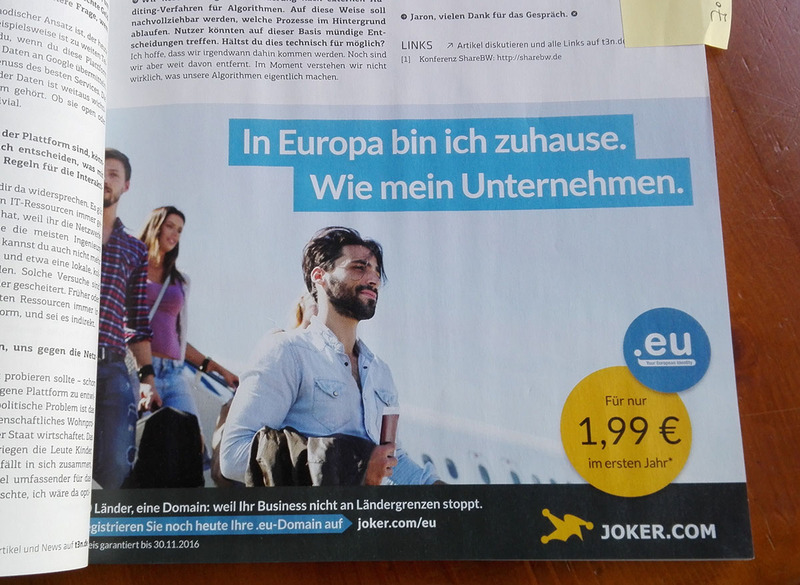 If you want to find more about our .EU campaign, feel free to visit our landingpage at joker.com/eu. Previous: Previous post: The NEW Joker.com!